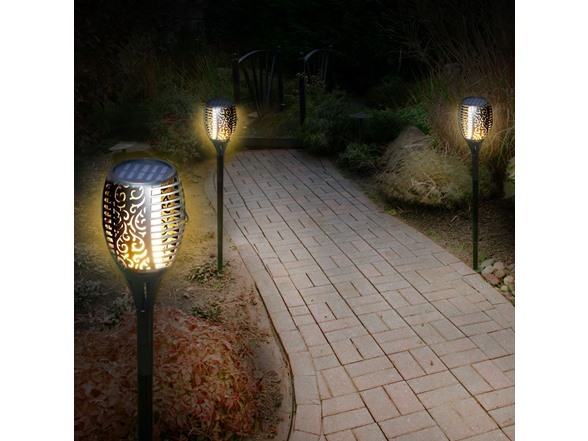 Make your nights glow with these solar powered garden flame flickering lights. 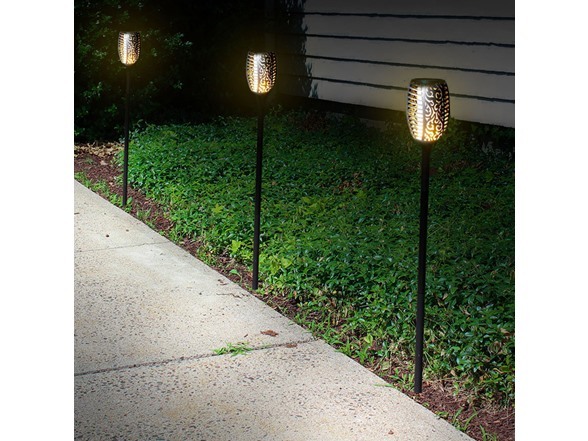 These environmentally friendly lights are the perfect balance of decorations and utility lighting. 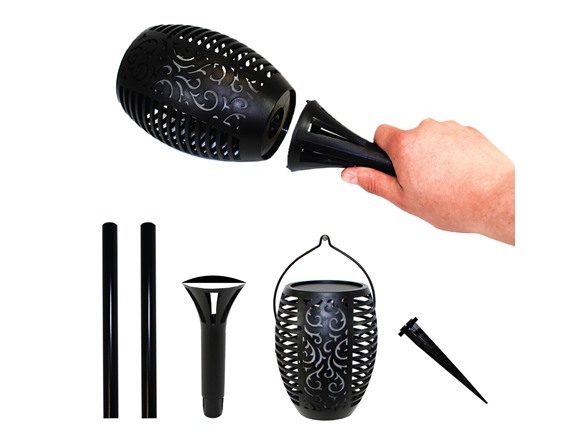 These torch lights truly prove to be a very safe alternative to the real flames as they do not actually carry real fire. 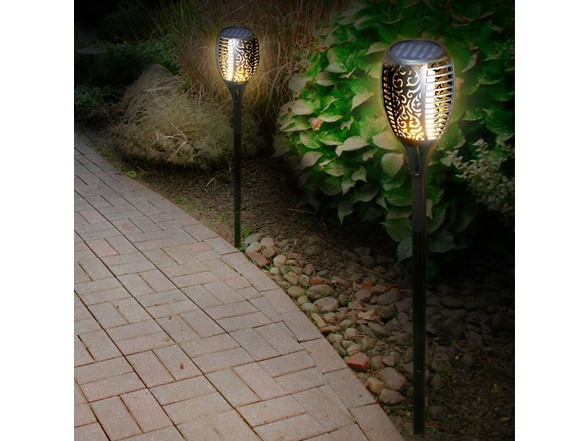 These weather resistant solar powered lights can go virtually anywhere. 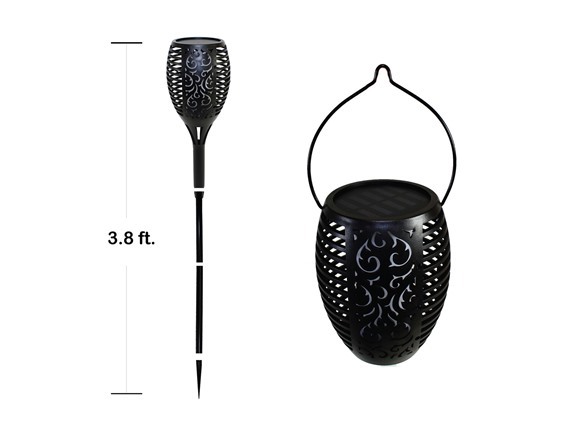 Utilize the stakes to secure the torch into the ground, place the lantern holder on any flat surface or take advantage of the hook to hang the lantern anywhere outdoors. 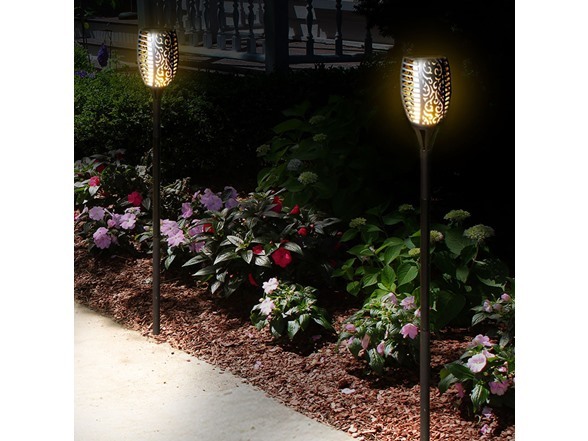 With the flip of a switch, installation takes less than a minute. No wires, timers or batteries needed! 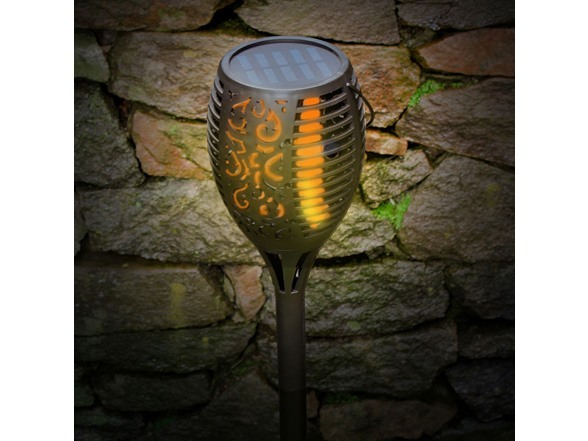 Each units features 51 ECO- SMT LEDs, one solar panel, one lantern holder, one extension stake and one ground stake. 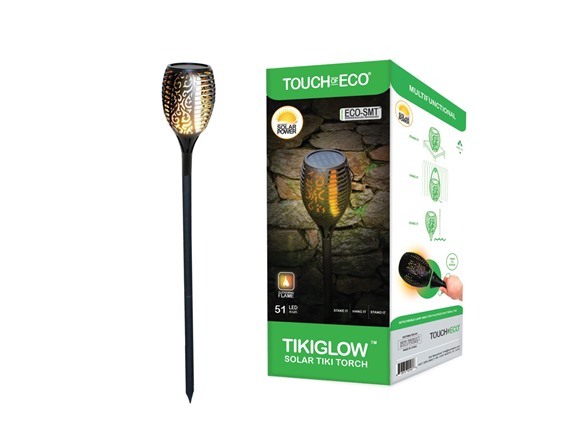 These Touch Of ECO Solar Flickering Tiki Torches automatically go on at night and go off during the day to charge. 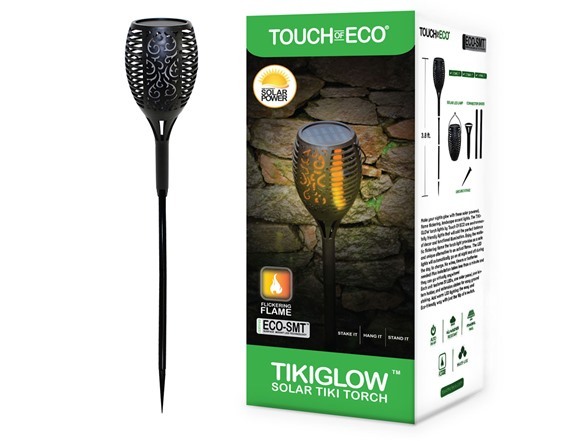 WARNING: This product can expose you to chemicals including [name of one or more chemicals], which is [are] known to the State of California to cause cancer. For more information go to www.P65Warnings.ca.gov. Dimensions: 45.6" x 4.7" x 4/7"